Eat your heart out menswear bloggers, Duke Ellington did the hat and houndstooth combo back in the 1940s. 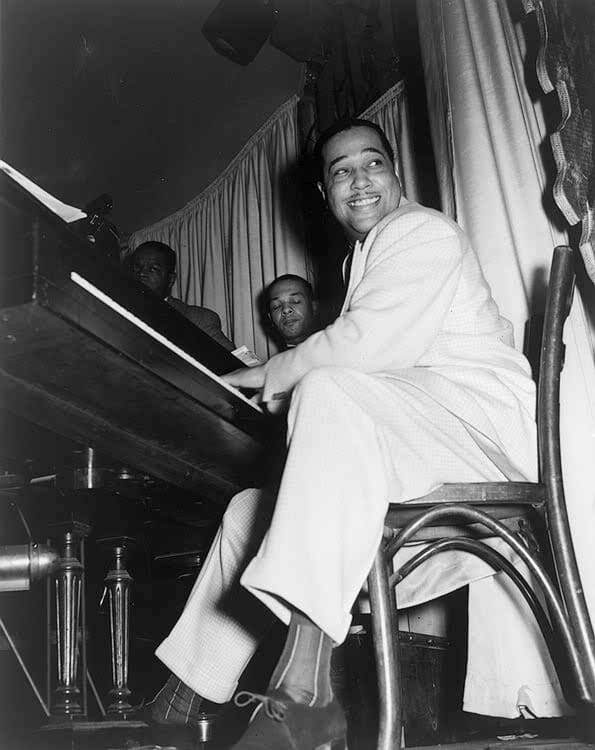 Known as one of the greatest composers ever, Ellington was music pioneer, and an arbiter of style. If you do a quick google search you'll see Duke wearing everything from double breasted blazers to wide-lapel tuxedos, pretty much laying the ground work for others of his time to figure out how to get dressed up.